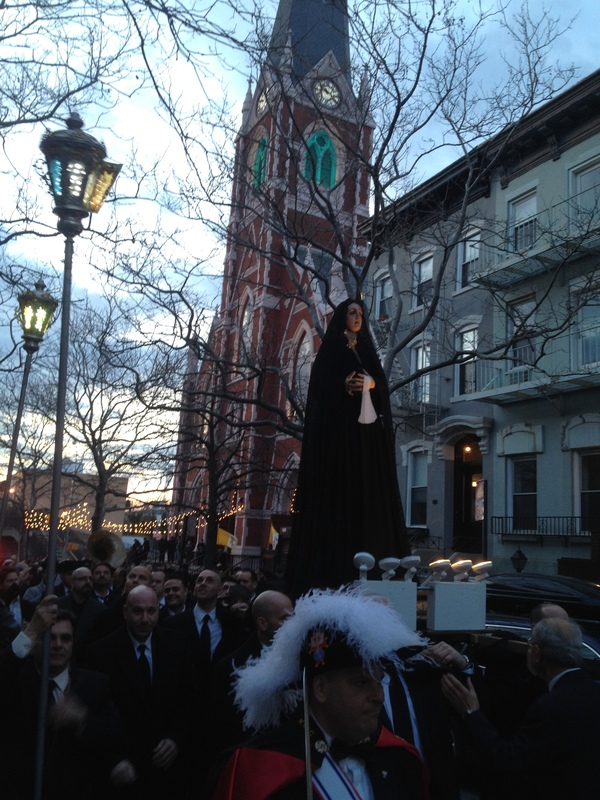 It’s Springtime in Staten Island, too! 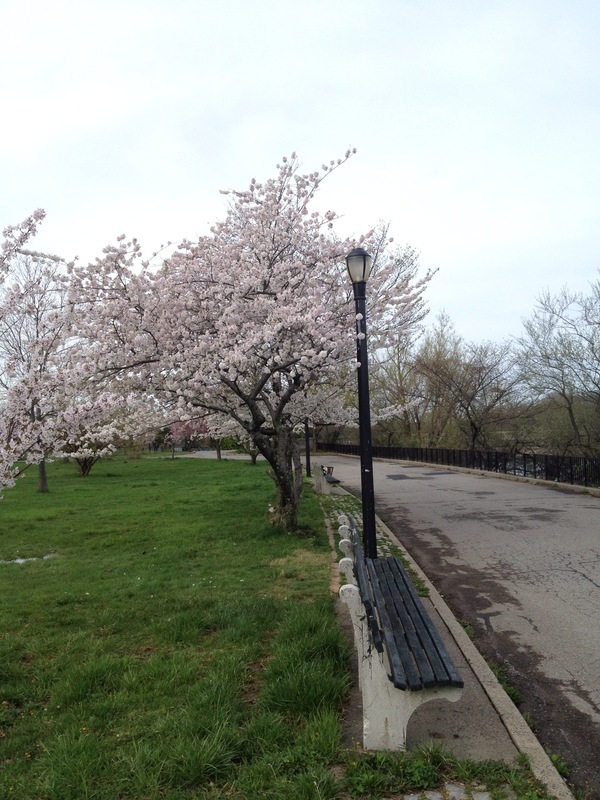 A couple weeks ago, I posted several pictures of tulips and daffodils, pear trees and cherry trees, from Brooklyn and Manhattan. A friend of mine noted that I missed Staten Island, a especially grave oversight because I happen to live in Staten Island. 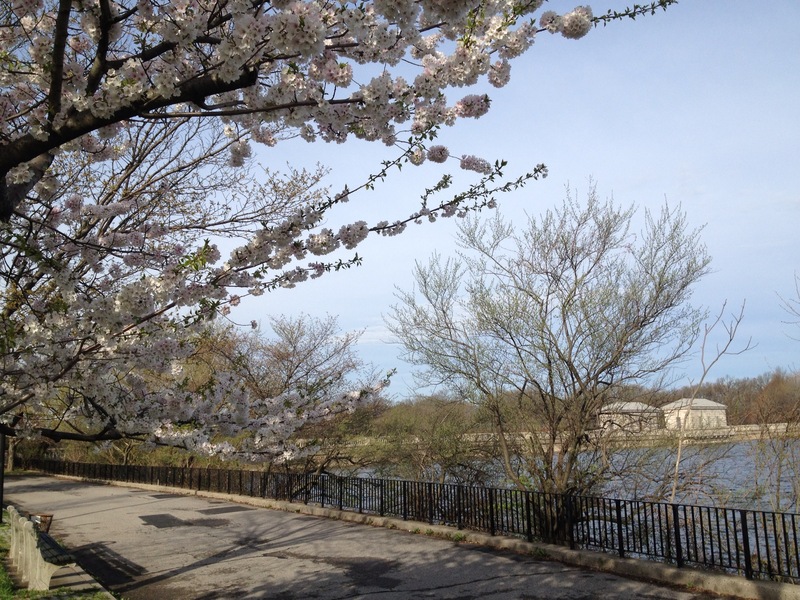 With the FDR Boardwalk here closed since Hurricane Sandy, my Brooklyn Half Marathon training has brought me to Clove Lakes Park and Silver Lake Park, which, like parks across the city, are bursting with brilliant yellow, pink and white blossoms. I’ll post some pictures below, but first, some background on the parks. 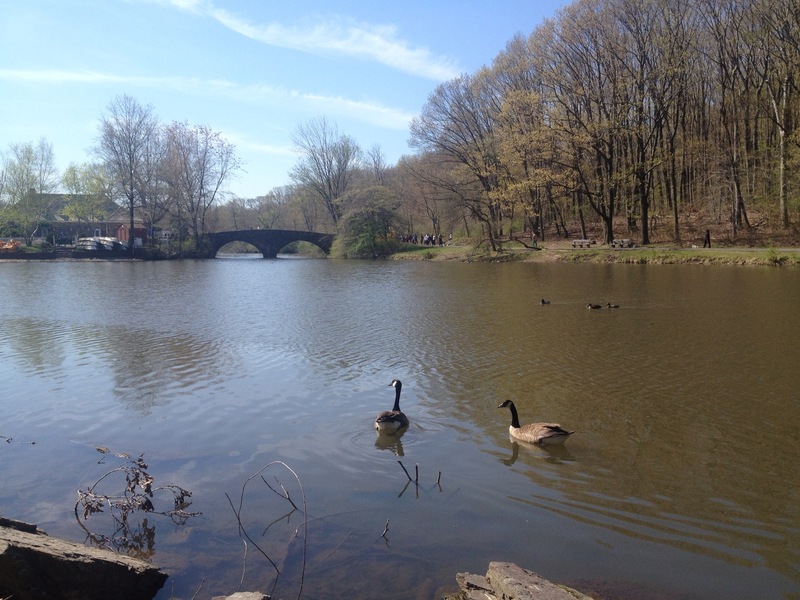 Clove Lakes Park is the more heavily used of the two parks, with a steady stream of runners and walkers taking advantage of its paths and recreational facilities that stretch from Victory Boulevard north to Forest Avenue. Centuries ago, a brook flowed through this area to the Kill Van Kull; but over the years, several dams have been built to create the lakes and ponds that now give the park its name. 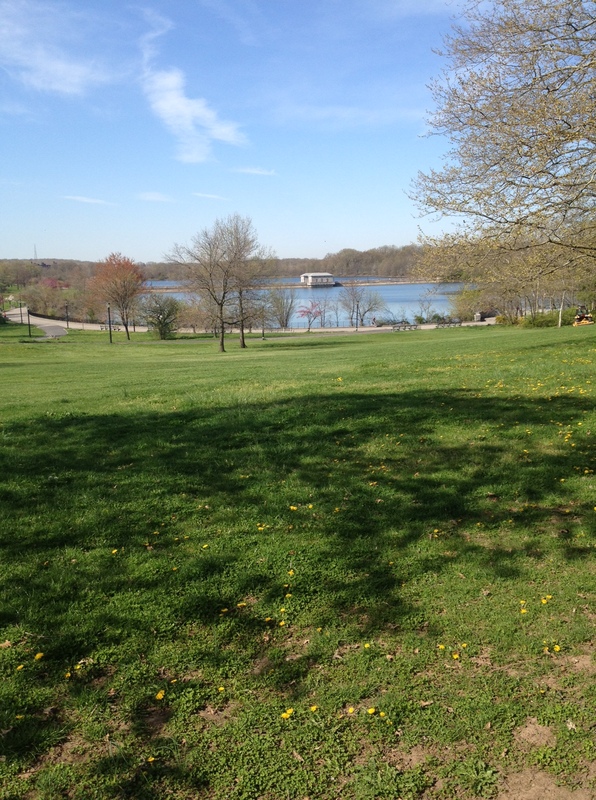 The city acquired the land in the early 1920s, and in the 1930s, it was developed as a city park. 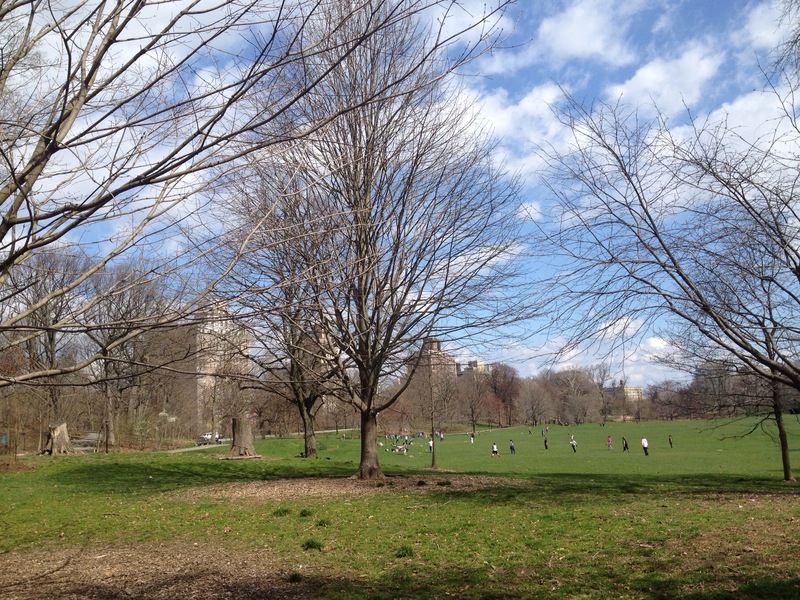 Today, Clove Lakes Park is home to playgrounds, ballfields and an ice skating rink. It is also home to the oldest living thing on Staten Island, a more-than-300-year-old tulip tree, which drew a small crowd of admirers taking pictures of it Saturday morning. Silver Lake has a long history of both recreational and commercial uses. During the 19th century, a casino and saloon existed on the lakeshore and several companies harvested its ice. Staten Islanders used the lake for boating and ice skating in that era, and in February 1897, Silver Lake hosted the National Skating Amateur Championship races. Someday, I’d love to dig up pictures of the saloon and casino that once existed here. Exactly 100 years ago, the lake was drained, and converted to a working reservoir, the endpoint of the city’s Catskill water supply system. The body of water currently at the center of the park no longer holds potable water (though it is clear enough to see rocks under a foot or two of water); it instead serves as drainage for underground storage tanks. A picturesque causeway bisects the lake—so instead of running a 1.3-mile lap around the lake, I prefer to use the wide, paved causeway and run a 1.6-mile figure 8. 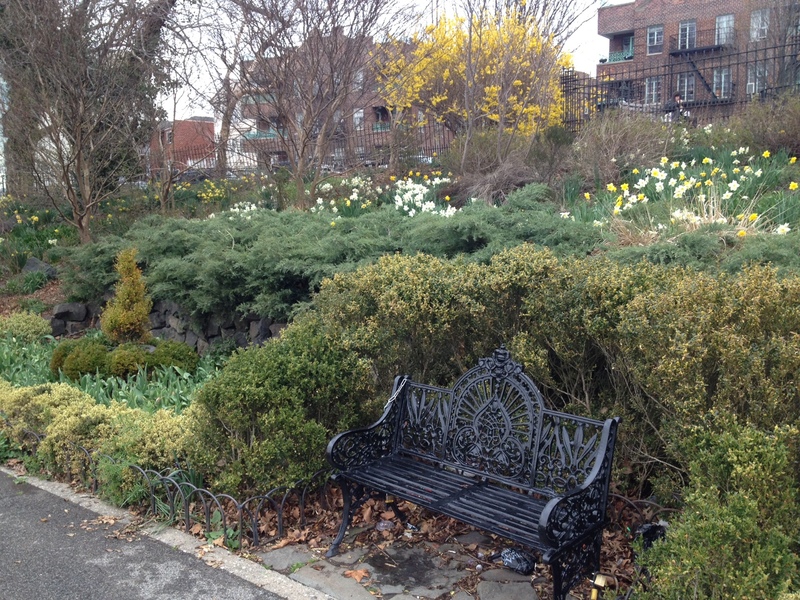 Land from Marine Cemetery, a nineteenth-century burial site for the Marine Hospital Quarantine in Tompkinsville, was added to the park in 1924. In 1928 the land was converted to a golf course, and in 1994 researchers discovered documentation linking the site to its past use as a cemetery. Today it is thought that perhaps several thousand immigrants, including many Irish escaping Ireland’s Potato Famine, who died from contagious diseases after landing in the United States are buried under the 18th fairway of the golf course. 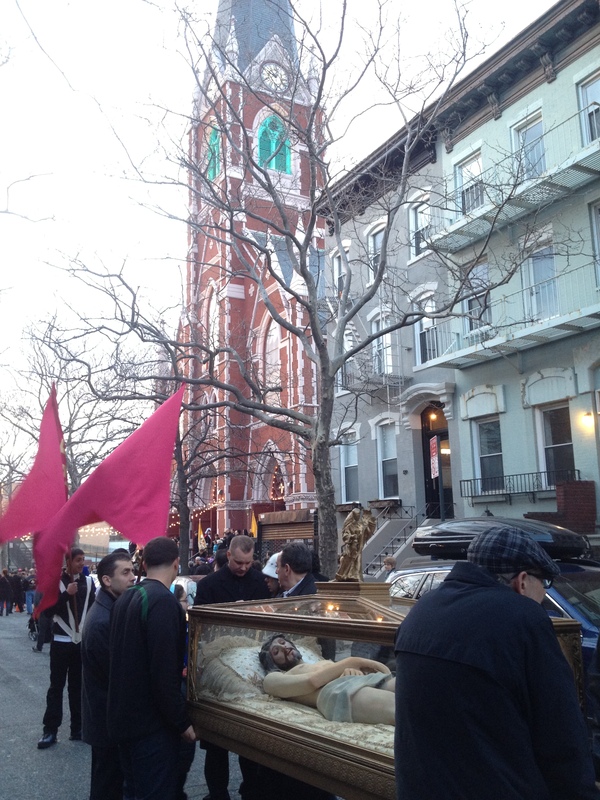 The first signs of Spring are evident throughout the boroughs this week. 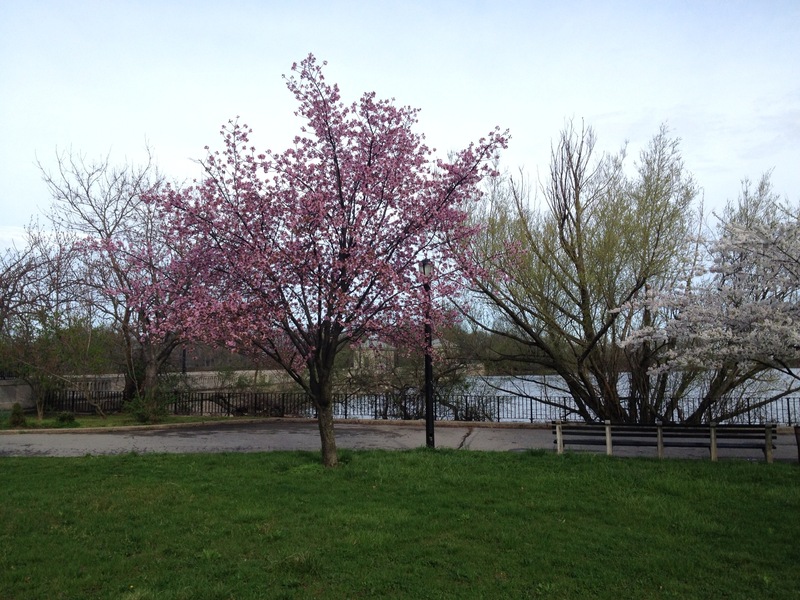 While daffodils have been in bloom for a few weeks now, tulips are on the verge of opening, and many pear, cherry and plum trees seem to be at their prime. The Spring colors have been striking. 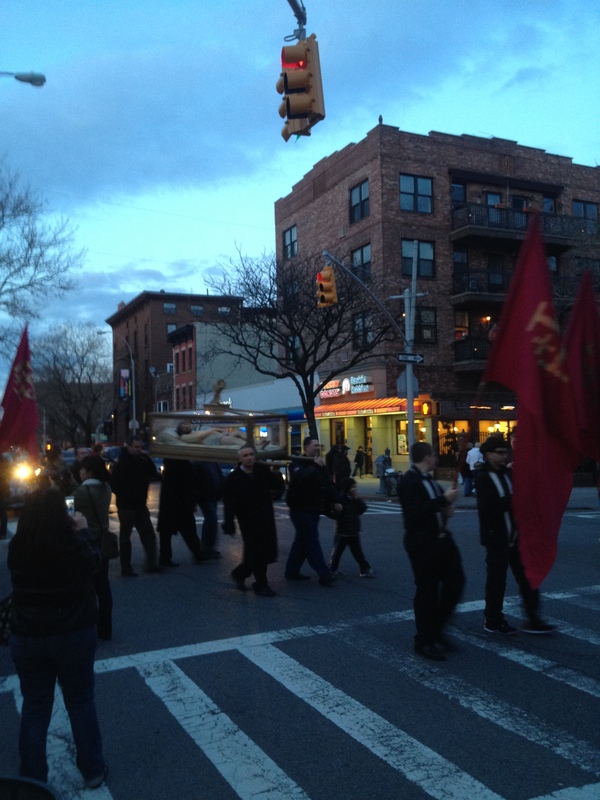 Here are some photos I have taken over the last week in Brooklyn and Manhattan. 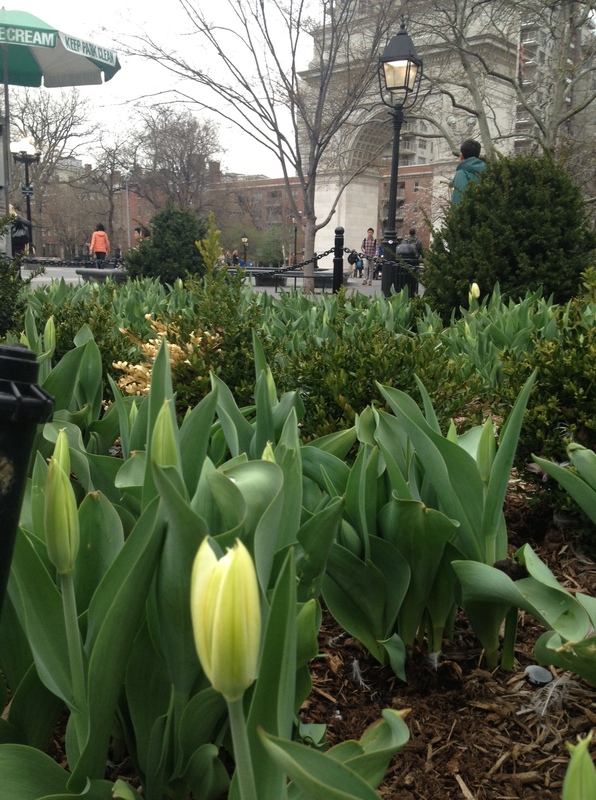 A field of tulips in Washington Square Park prepares to open into a sea of yellow. 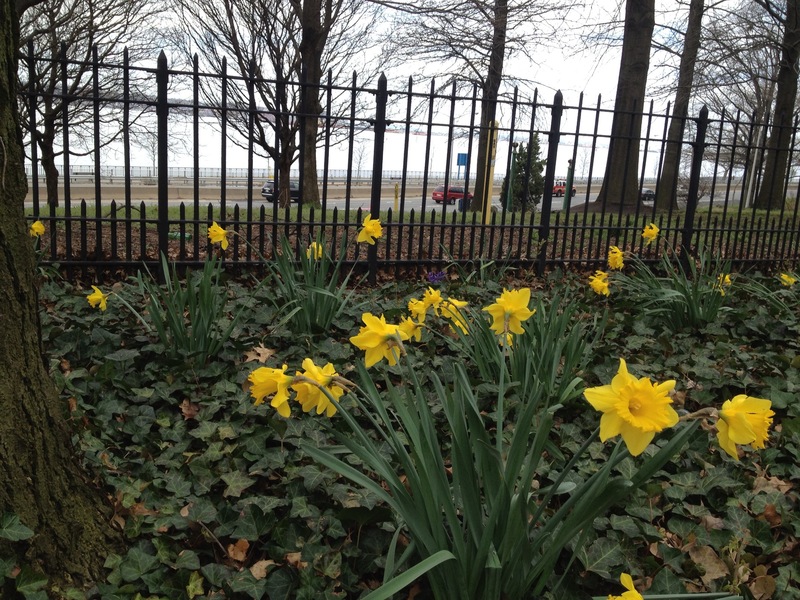 Daffodils and forsythia add a splash of Spring color to the Narrows Botanical Gardens between Shore Road and the Belt Parkway in Bay Ridge. Though these trees have yet to respond to Spring’s mild temperatures, the residents of Brooklyn have. 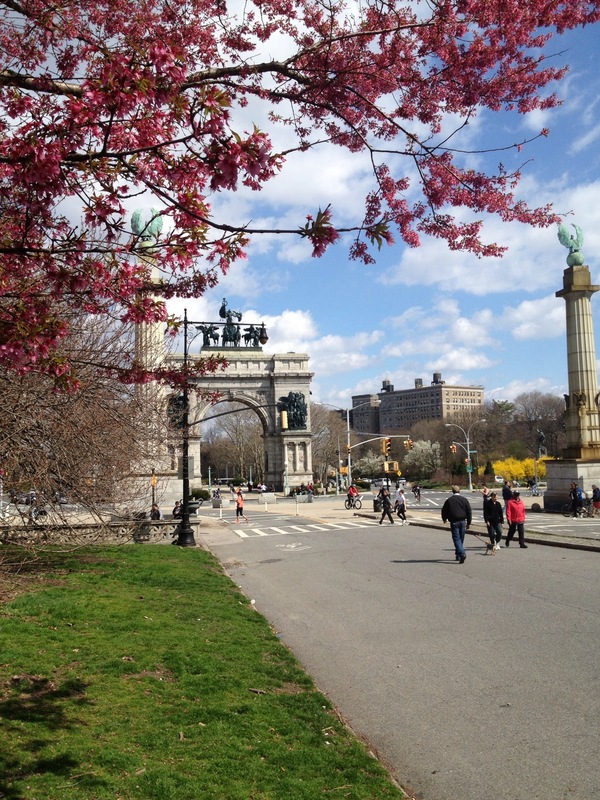 Many were out enjoying Prospect Park last weekend. 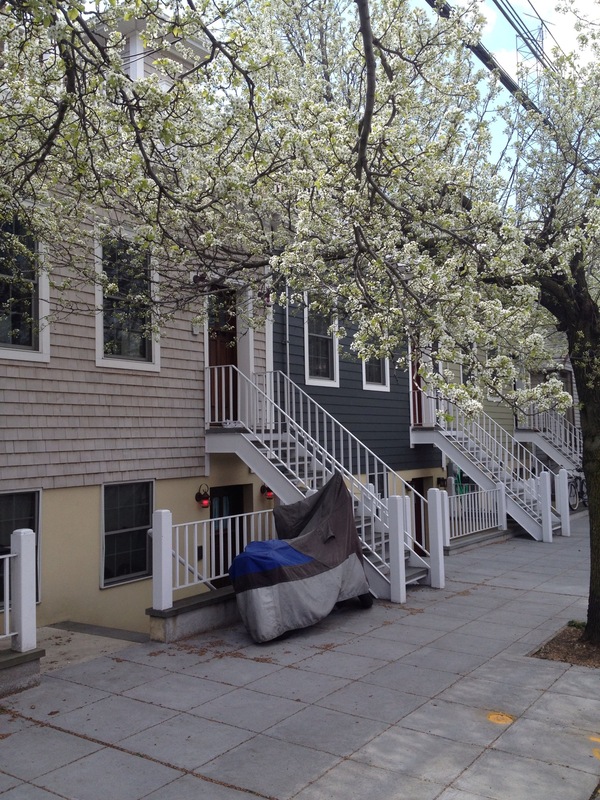 Pear blossoms on Conover Street in Red Hook. OK maybe Spring isn’t everywhere. 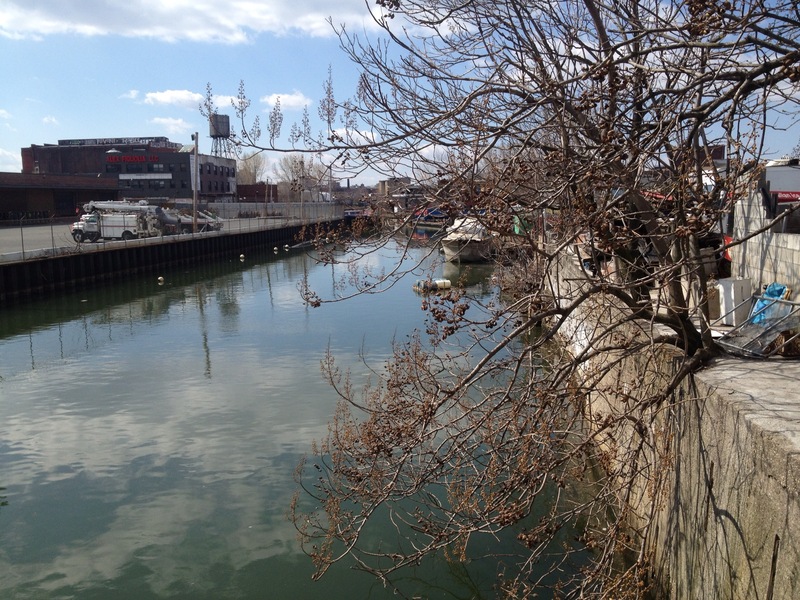 I couldn’t find a single Spring blossom along the Gowanus Canal from my vantage point on the Union Street Bridge. Last week, I ate dinner at Waterfalls on Atlantic Avenue in Brooklyn. While I was impressed with all the dishes, from the fatoush salad with crispy bits of pita and faint scent of dill to the eggplant stuffed with ground meat and served over a light tomato sauce, the dessert took me by surprise. Always wanting to try something new, I asked the owner what he would recommend, fully expecting him to suggest one of the more esoteric dishes on the dessert menu, such as basbousa. 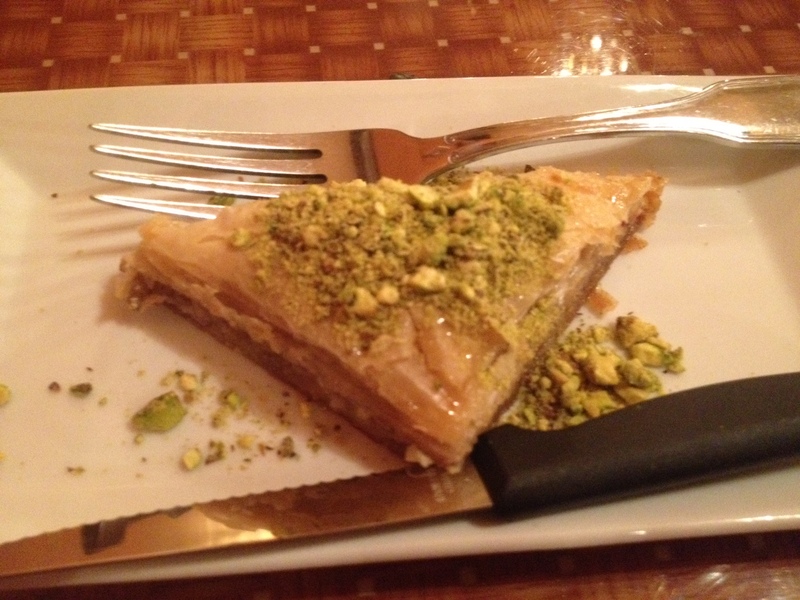 Instead, he recommended the one dessert I was quite familiar with, baklava. 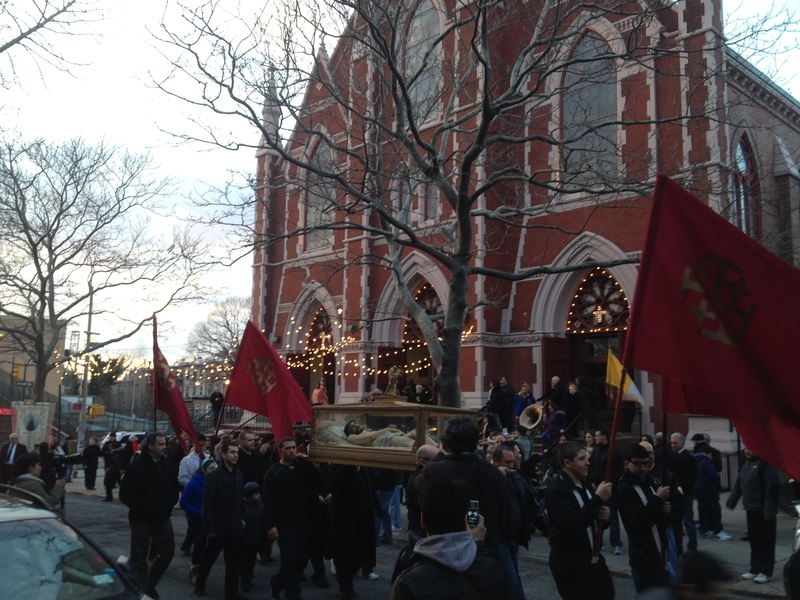 He did so with such confidence that I obliged, reluctantly. And when I had a taste, I could see why he recommended it without hesitation: The baklava was not sickeningly sweet as it can be in some restaurants. The flavors were delicate, and I could distinctly taste beyond the butter and honey to orange flower water in the pastry and the crushed pistachios that covered the baklava. Afterward, I told the owner how pleased I was, that I have had baklava a hundred times but this was probably the best I had ever had. If you haven’t been to Waterfalls, it’s worth a try, whether you know Middle Eastern food well or not. Be sure to bring your own wine. And be open to the owner’s suggestions.